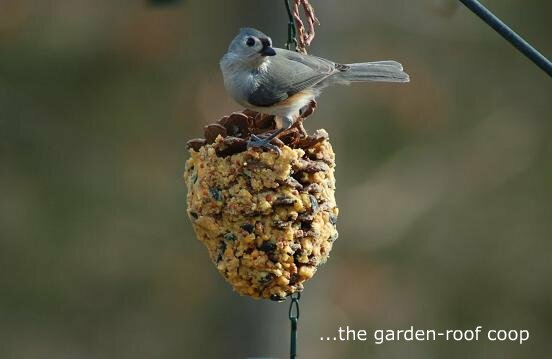 A Tufted Titmouse enjoying a winter treat of pinecone suet! 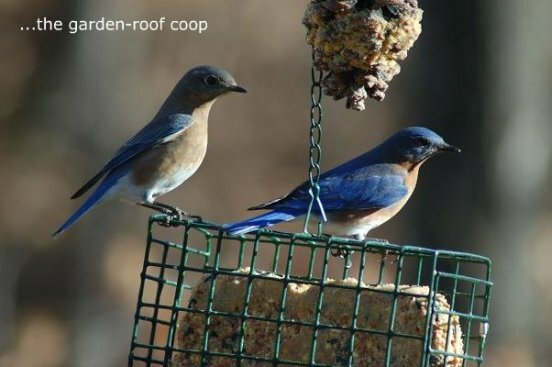 An Eastern Bluebird couple--our Missouri state bird! I think it might be a while before the bird bath will be in use again. In the meantime, I'll be a good hostess to my guests-I'll keep the feeders full, the suet available and enjoy their company while I dream of springtime..
Did you make you birdbath? I really like it! I did! 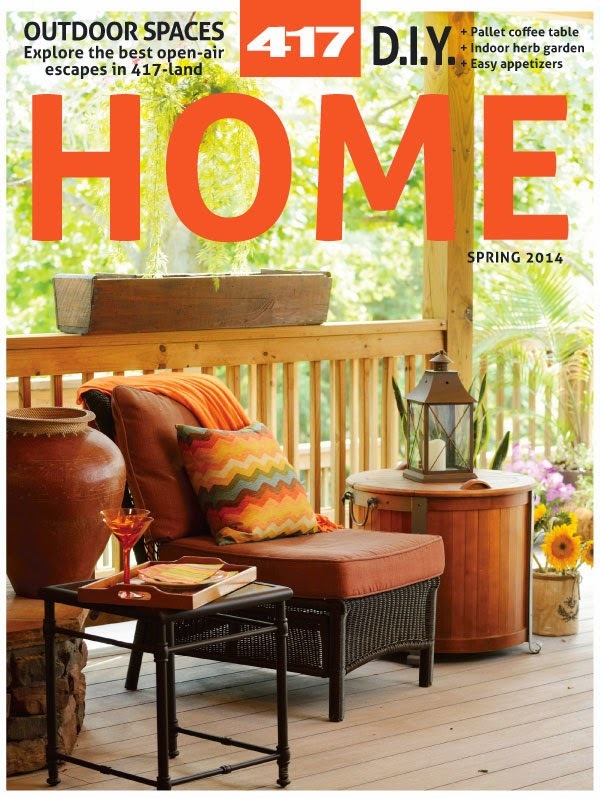 It's nothing more than a stump, a flower pot saucer and river rock... Which reminds me-I should put that away for the winter! Very nice blog indeed. The bird shots are amazing. 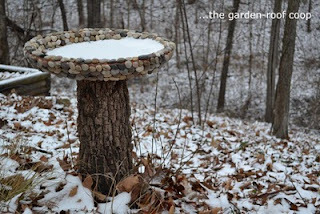 love your blog and the bird bath is such a cute idea. Do I have your permission to steal it? 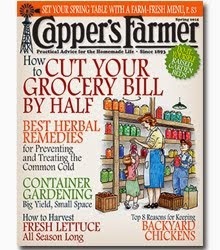 Would love to make one for my little homestead. That bluebird couple is so cute! Maybe you could get one of those solar warmers for the bird bath... so you wouldn't have to run electricity to it to keep it thawed. The bluebirds aren't frequent visitors to my feeders and I was trying to get a shot of the male when she happened to join him and pose for my camera! A solar warmer is a good idea, I'll have to look into that.. Fantastic pictures, great looking family and if I were an envious guy I would be miffed by your lifestyle. Thanks for visiting my site and commenting on the Wisteria. Thanks for the gorgeous bird photos! 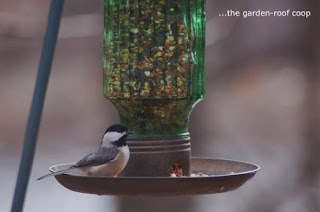 Very nice blog, nice shot indeed, especially the bird. I like your state bird...blue. Love the birdie pics, far more exotic than the feathered friends that occasionally visit my garden in Sussex, UK. Living by the sea, it's usually just over-sized, over-fed seagulls that grace me with a visit! Alistair, Katie, Orchid-Thanks for the nice comments! Martin-I would love to live by the sea.. Closest thing we have to an over-sized, over-fed bird would be the geese at the park, or perhaps the Starlings that eat my cat's food! Like the roof top garden on the coop. As a new follower, do you have instructions on how to make it? Thanks for sharing. 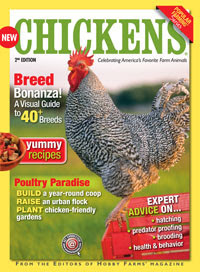 Claudia-I talk a little about the instructions in my Community Chickens post "The Coop's Beginning.." you can view it in the page The Coop and Chickens..above left. I'll post more instructions and photos in the spring. Beautiful photos Rebecca!! Oh thanks for reminding me to make that pine cone feeder! I have the same birds as you, except we get the Carolina Chickadee down here. 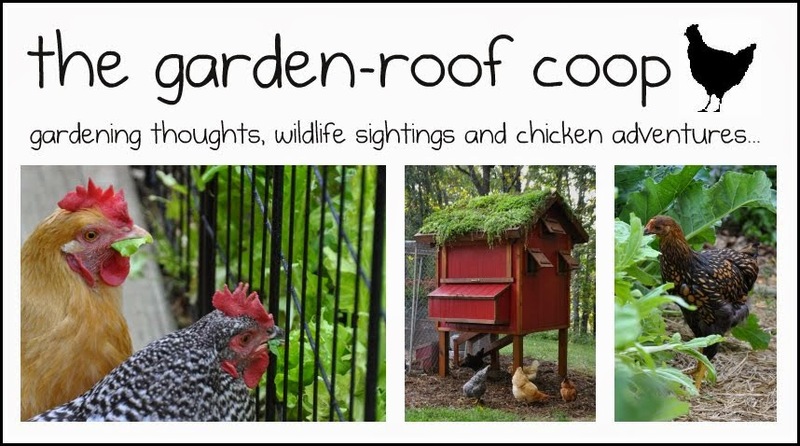 Love your Garden-Roof Coop!!! Nice photos! I bought a fancy squirrel proof suet feeder for myself for Christmas, but don't think any birds are eating from it yet.